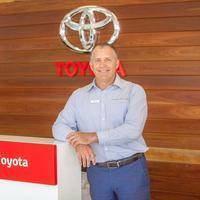 Brett has been with Toyota for 20 years and has been running Ken Mills Toyota for 15 years. His favourite place on the Sunshine Coast is out on the water with his kids near his home at Kawana. 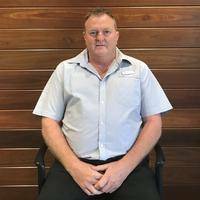 Shawn has been with Toyota for 10 years, and in early 2018 he will have been with Ken Mills Toyota for 5 years. His favourite place on the Sunshine Coast is Noosa Main Beach. 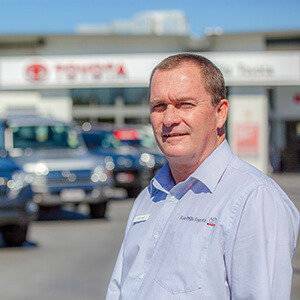 Tony Hunter has over 35 years experience with Toyota and 15 with Ken Mills Toyota here in Nambour. He can be found fishing on the ocean to relax. 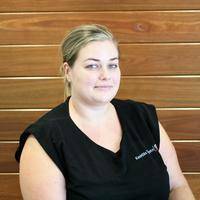 Jess started as a Sales Cadet and has worked across all aspects of the business in her 9 years with Ken Mills Toyota. This year she graduated as an accountant and is also Financial Controller as well as Guest Experience Manager. Her favourite Sunshine Coast place is Mudjimba North Shore. 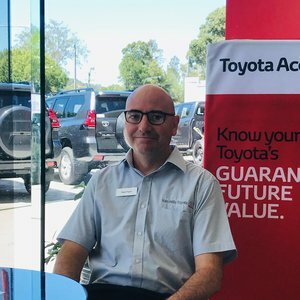 Mark has 7 years of experience with Toyota following a long career in the automotive industry and on his days off he can be found in the Sunshine Coast Hinterland. 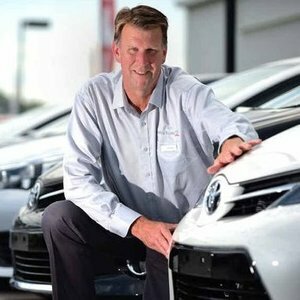 Devlin has been in the industry for over 20 years and has spent just under a year with Ken Mills Toyota. His favourite location on our beautiful coastline is Mudjimba. 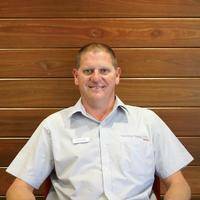 John has 19 and a half years of experience with Toyota and has been Service Manager at Ken Mills Toyota for 1 year. His favourite place on the Coast is Mount Coolum. 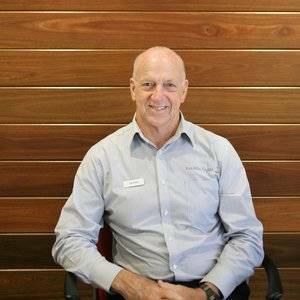 Jeff has been with Toyota for over 35 years and part of the Ken Mills Team for the last 15 of those. His favourite place to be is at Mooloolaba Spit at 5.30am each morning for his daily swim. 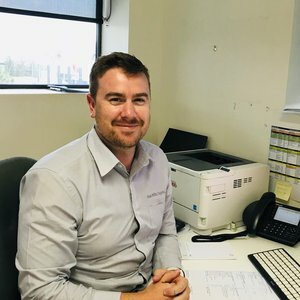 Luke has worked for Toyota for the last three years and has recently joined Ken Mills Toyota. When not at work, his favourite hang out on the Sunshine Coast is at Noosa North Shore. 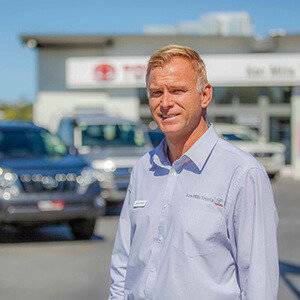 Nambour Business Manager, Regan, loves to spend time at Noosa North Shore when not assisting guests with Toyota Finance and Toyota Access at Ken Mills Toyota. Julie has extensive Toyota experience, celebrating her 20th year with the brand. 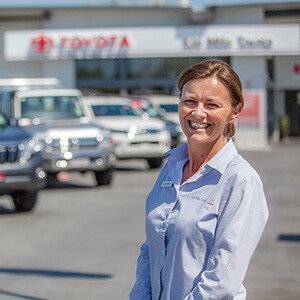 She has spent the last five years at Ken Mills Toyota heading up our fleet team and when she isn't working, she loves to spend time with her family at Alex Heads.